Time in England. Let the Spin Begin! Oh, there’s a match to be played too. Fun times! Arsenal traveling to Anfield is one that is always up for grabs. We’re ALWAYS the better club (obviously, because we’re Arsenal) but Liverpool always offer resistance–some of the very best in the Premier League–because of their home support in their old stadium. Indeed, they will not walk alone, but will they trudge home as winners, drawers or losers? Naturally both sets of supporters will hope for the full points but both managers have to consider all the possibilities, hence all the spin. That this fixture comes in the middle of the January transfer window and directly on the heels of the 3rd round of the FA Cup–the opener for big clubs–adds to the maelstrom effect. Liverpool also had to play our next opponent (Stoke City) just a week ago in the first leg of the Capital One Cup semi-finals. This weekend they host their biggest local rival, Manchester United. 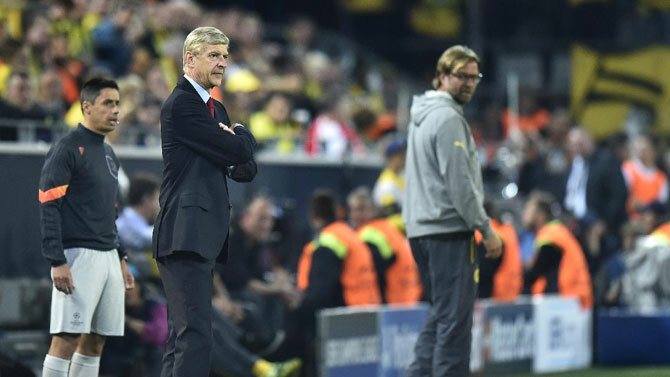 Wenger has given (only) a sniff already at Klopp’s complaints about fixture congestion in the pre-match war of words, which, in truth, has been more like a love-in. Both managers have praised one another highly, and both, I think, have a fine appreciation of the difficulty of managing in the most competitive league in European football. It’s not just fixture congestion, it’s the fact that almost any team can beat–and beat soundly–any other team. Liverpool have done just that amidst a less than thrilling campaign which sees them 8th in the table on 30 points. Their best moments, however, have come away from Anfield. The biggest was their 4-1 win against the light blue team from up the Mersey (Manchester City) and they also beat the defending league champions, Chelsea, 3-1 at Stamford Bridge. At home their fortunes have been more mixed, although their most recent home match was a 1-nil win over then league leaders, Leicester City. If Klopp could get a couple more here in quick succession against more traditional rivals (Arsenal and ManU) the Anfield faithful might be fully on board. He’d probably be OK if he can get results of any sort AND do some good business in the transfer market to patch up his injury depleted squad. He had to play an almost unrecognizable team at Exeter City in the FA Cup match last Friday after losing both Phillipe Coutinho and Dejan Lovren to hamstring strains in the League Cup match at Stoke. The 2-2 result at Exeter means another Anfield match to be squeezed in somewhere (they’ve got that 2nd leg vs Stoke, too) and more chances for some fringe members of the squad to show what they’ve got in front of the home support. One of those guys will likely be former Gunner Kolo Toure, the fittest of Klopp’s first team defenders. Kolo may have Mamadou Sakho as a partner for our match but ‘Pool are also working hard to finalize a loan deal with QPR for Steven Caulker. Will Kolo have to try and stop our attack with the former Spur? Team captain Jordan Henderson may also be recovered enough to play and his presence might help the steady the cynical center of Liverpool’s midfield, Brazilian Lucas Leiva. With Coutinho out, Klopp may opt to bypass midfield altogether with long balls up to Christian Benteke. The former Aston Villa man can be a handful. and, if in the mood, can put them in the net or knock them down to Coutinho and Lucas’s countryman, Firminho, or Englishmen James Milner and Adam Lallana. We should also beware of Liverpool’s wide game, as fullbacks Nathan Clyne and Hector Moreno are often keen to get forward and put in crosses aimed at the Big man. Klopp, of course, is famous for his gegenpressing teams at Borussia Dortmund. Between all the matches and all the injuries, Klopp can’t employ this tactic to the full, but, in Emre Can, a young, athletic and skilled player, he could have a guy who might be sufficient to stop our own German-Turk, Mesut Ozil. Can is a versatile player who could start in almost any outfield position. Where Klopp places him could be a tactical clue. Can-Ozil (or will the young Turk–or German–be tasked with stopping other attackers such as Theo Walcott or Aaron Ramsey or maybe putting Mathieu Flamini under pressure from an even higher starting spot) could easily be the key match-up in this one. I expect a very tight match–early on at least– with both managers very keen to avoid conceding an opening goal. That would be a mirror of the nil-nil we played in our stadium back in August, which makes sense. With the matches coming so thick and fast, a draw wouldn’t kill either team. Still, Klopp should want to show some attacking verve in front of the home fans and Wenger will know that it might be worth a few gambles if there’s a chance to grab all three points. In other words things might open up–a lot–once a goal goes in. So, while getting the opener would allow us to sit even tighter and play (even more) for the counter attack, we should also feel confident in breaking down Liverpool’s (injury depleted) squad and getting the ball in their net no matter what the scoreline. As always, that’s just my take on this one. What do my fellow Kampers think? Go on then, tell us… And go on you Gunners…and…show us!!! Nice post which, as always, displays in depth knowledge of our opponent. I agree with your line up, except on the bench Arteta for Jeff. Liv is always a tricky opponent because you never know which Liv will turn up. Somehow am feeling quietly optimistic that we will get the better of them tonight. I believe that they are still in the transition of styles, which can be very disruptive to their consistency. They are not yet executing the counter pressing intelligently. Upping the intensity of their pressing all over the field is counter pressing without brains, and that is all they are capable of atm. Of course if that is not properly managed by their opponent, that alone can blow a team away. Arsenal appears susceptible to intense pressing as witnessed by our relatively poor record against Southampton and Pochettino’s Spurs. Yet we are specially equipped to manage intense pressing to our advantage. It only requires a little tweak in our attitude to the game. Pass quicker and emphasize ball circulation almost as an end in itself for good chunks of the game particularly in the first half. If it is done well, the pressing team, sooner than latter will tire or frustrate and then we would go for the jugular. Our away record against the top ten teams over the last few seasons have been the worst amongst the top four teams. That trend would be reversed if we approach such matches, as tonight’s, with a more conservative tactics. shifting emphasis from defending through breaking up attacks to defending through ball circulation. Arteta is a better ball circulator than Flamini. I therefore opt for a double pivot of – Artea/Ramsey. By the hour, by which time Liv have tired or abandoned intense pressing, and the game becomes stretched, Flamini comes in for Arteta. Anfield is a special ground and those who have been at their ground will know how powerful the intro song is. I have been to Anfield a few times. The first time was to Liverpool v Newcastle United in 2002 I think. A colleague had got some tickets for the opposite of the Kop end. For the first 45 minutes there was a total power cut, so the game was delayed considerably. I was shocked by the vileness and verbal aggression of the fans at that end. It was not the swearing but the deep hate towards the referee and certain lazy cnuts of players that surprised. On the other hand, the Barcodes supporters were in good spirits and impressed with their loud singing. For me Anfield is always associated with seeing Fabregas live for the first time. 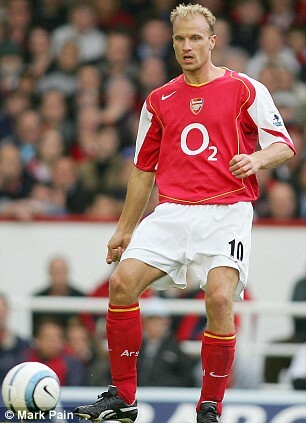 He was 17 or 18 and had been selected to play next to our giant Vieira and against Gerrard. Cesc always seemed to be two seconds ahead of the others and anticipate the game really, really well. I knew instantly that he would become a great player. PV scored a great goal and Gerrard spoiled it all for us late on but it was a good game nevertheless. I was also there for an FA cup game that we won with Thierry Henry steeling the show and getting a standing ovation from the Pool supporters. There was a lot of mutual respect between the Frenchman and the Pool supporters back then. I reckon Pool’s impatience with Rodgers will come back to haunt them. I was at the home game this season and the Dippers played us off the park in the first half but somehow did not score (Cech was awesome that day). Clearly, Rodgers was struggling to get consistency in the team this season but he knows how to play football and I reckon over time Pool would have become a real force in the league and Europe. But the fans and BoD did not have the patience and Klopp was available and so one went and the other came. I reckon Rodgers was not far away to do something special with Pool and it all remains to be seen whether Klopp will get the time and funds to build his team and style of play, and then get the necessary successes to keep him there. Agreed with the line up and tactics. Playing deep and compact suits Flamini and Mertesacker and with Theo, Campbell, Ramsey and Ozil we have the players to play deadly on the break. Theo will have to do a good job defensively and I wonder whether Arsene could play him up-front and start another midfielder on the flank (Ox, Iwobi) to be extra solid and yet have Theo’s speed in the centre for a quick and deadly break. On the other hand, Giroud could be the extra midfielder/attacker to hold on to the ball and allow our speedy players to get out of defence and involved in our attacks. I hope we don’t sit back too deep and get hemmed in totally, though. Santi is better suited to playing really deep as he can wiggle out of the ‘press’ better than most, and Ramsey will need to be disciplined and forceful at the same time. Theo’s speed threat will force Liverpool back a lot but without Alexis to back him up and offer an alternative to Ozil when playing on the break, it may not be easy for him tonight. Let’s hope Campbell has a great game for us as I reckon he and Rambo hold the key to our success tonight: if they play really well we can win. Good call on Arteta for Flamini, PE, and sound argumentation. I guess Flamini is more match fit and battle ready but you could be right. And here is Henry’s goal – our third – against Pool in the FA cup. Power and composure till the end – fecking fabulous. Thanks HT for delivering a top preview once again. I appreciated the Liverpool team insight and the potential role of Can on Ozil. I feel we will have too much quality over theirs this evening to be pinned down by Liverpool. If we can remain strong against the 12 man pressure at Anfield, defend like a team and convert that into possession for quick, creative counter attacks and general play we will win. I love the insight PE about ball circulation I think that will be very important. We must ensure the two circulators are also very solid positionally and technically in the defensive middle, at the right times. It requires a high degree of football intelligence. I would hope Flamini or Arteta could do this. Experienced heads are required. TA I wanted to comment on your previous post on our midfield but only got to it just now spurred on by PE’s comment on those ball circulators. So this is just a quick thought on those types of player. They are needed in certain matches including those times in matches where the circulation of play is more important than tough tackling interceptors that act as extra CD cover as the CDM. This season may (I hope) see the transition from plan A – defensive rigor using a CDM alongside a CM to using both that plan A and a certain plan B. This plan will require the two CMs at their peak to both sense the flow of the play and in Thierry’s words on Ozil ‘do what the game is asking’ of them by rotating in CDM, CM, and CAM roles as required. Those ball circulators can make it happen. It requires that football intelligence which I think they all have.. With the rather tidy looking triple title winning Egyptian playing for us soon and Ramsey, Ox and Wilshere learning from his capability to play in all three central midfield positions he may help provide a model for the others particularly defensively and in the overall balance of play needed. This may be Wengers thinking but I haven’t seen anywhere near enough of him to be sure – this however is the general impression I get or maybe it’s just a dream. Time will tell. Of all three admittedly the Ox needs more game time but he will get that with Arsene. Just today he gave recognition of the Ox’s star, saying he has the qualities to flourish in central midfield and as a box to box player. I’m not sure if I should have posted it here or there TA.. Maybe both? 😀 Feel free to move it if best..
Ahh thanks for the memories TA.. Love that Henry goal. The Vieira one reminds me of the Petit-Vieira combination. Petit as the CDM use to get forward as well. An awesome combination of multiple complementary talents.. Cheers FMJ for your comments – and no worries about posting your comment here. I have a feeling that Elneny is one for cover for a number of roles in midfield. I would like to see him play footie for a while before I can judge how good he is. I don’t expect the likes of Ramsey, Wilshere and Coquelin to learn much from him as they are well established players, probably ahead of Elneny. For me central midfielders need to be able to defend and be good passers of the ball. Coquelin is great at this and I like it that he stays back a lot, even though he can do the attacking stuff too. Ramsey is the most allround of them all and he can play deep too, but his real value is his ability to burst forward and make those vital runs into the box. For Ozil, a player like Rambo is a dream, as mobility, running and passing is his game and the Welshman links up so well with him. If we are to play with two allround central midfielders who defend and can go forward as well, I reckon it will be Jack and Rambo. They both have everything you would need, even though they are not Coquelin like DMs. Hey TA, cheers yeh I see I am getting slightly ahead of myself on the Elneny signing as Jack and Rambo are further along in certain key ways.. but I also still have a feeling he will bring qualities that will help facilitate their development and that includes Chamberlain’s.. He will come good! I love the Jack-Rambo pair perhaps this decade demands their mix of talents like the decade of Petit-Vieira demanded of them..
Alongside this though I think this era where the level across the league is higher with more challenges posed by each team – rotation is key. The different combos all have different solutions to the challenges this team will face. If Jack stays fit then they could become the preferred plan B pairing. More likely it will be Flambo with Elneny gradually replacing Flamini – in this near future at least. All agreed, FMJ. We need back up for Le Coq and it looks like Elneny is the man. What’s the television situation? Should I try and do the live blog bit? 17ht. In the UK its on BT sport one of the pay channels. Seems like all the fans are at the game, there making some noise! Evening HT and co. Following on the radio. Sounds like pool have started with real intensity and we are on the back foot. 1 goal down not the end of the world we know, if it wakes us up and we get stuck in from here. We shall see. That was timely – Rambo! God knows whats going on tonight mind. The question is can they keep it up for 90 minutes..? And as long as we keep things even, then we could clean up once the Scousers legs go. Hi AB, you watching the game mate? Hi 17, Campbell seems to be having an impressive game. Hi AK – like you following by radio. Frenetic game. Not sure what the hells going on with our defence by the sounds. A relief that Mign is having a game to forget. You are right we should expect them to tire as the game progresses – and they have a couple just back from injury to boot. If get our noses in front here I suspect we won’t have much to worry about. We are missing a calm head, like Arteta in the mid-field. All a bit frantic at the moment. Hi HT. What’s going on with the defence? None of them sound like they are showing any degree of calm control? Phew. Made it to half time. Wenger has some work to do here! Seems that Liverpool are just trying to batter us with work rate AB/17, stopping us getting into any kind of rhythm. Hmm yeh HT that left side is weak. Walcott needs to help Monreal more on the left and Flamini really needs help to deal with Firminio and Can.. We definitely cause them problems but we should try a more conservative and collective style particularly in those two areas of the pitch. We’re attacking as a team but not quite doing it as a team defensively. We will still get chances and they look poor at set plays. We are finding it very difficult to handle Liv intense pressing. They can’t maintain that tempo 90 mins. 2nd half will be better four us. Giroud, inspite of goal, out of the game. Let’s see how Liverpool react to going behind, this situation is tailor made for Walcott. Benteke on. Who looks in need of a change from our 11 HT? But Liverpool will begin to feel the pace they started at soon. Oxlade-Chamberlain could be an interesting option if he’s up front? Ox coming on – for who? Looks like it’s snowing at Anfield? Spurs losing. I’m still in the space that Leicester can’t win the league so not an issue – happy to see spuds drop points. But we need the 3 here…. That looked like another dive from Clyne, FK, but nothing comes of it..
Phew… I am happy with that! Disappointing to concede but it was coming for so long.. We tired in those weak areas particularly in the centre where there midfield which included one extra with their false nine Firminio dominated often. A point away against a decent team can’t be deemed failure FMJ. But it bloody well feels it to concede a lead in the 90th minute, whatever the performance before. Other results have been pretty kind to us, so no real harm done. But what a lift it would have given us to have taken the points, esp with some tough games coming up. I confess I don’t feel we have the strength in our defence to sit back and try and hold out for 30 min, esp with no Coq in the team; it just felt like a matter of time before the inevitable happened. We didn’t seem to be able to get the ball away and hold onto it, nor make the use of their tired legs – it sounded like we were the more tired 11 by the end, which can’t be right. Hey ho. Very disappointing end to the night. But nothing terminal by any means, and the glumness will pass soon enough. We are still top of the league, we have no new injuries and key players coming back soon. Every reason to look forward and feel positive. Tomorrow a 3-3 at Anfield after going behind twice, will look a decent result. Wasn’t Elneny supposed to be signed today…? We could do with a younger pair of legs defending in front of our back four. Hey AB yeh it feels bad but I’m used to that from us, I think back to the 4-4 game with Arshavin’s four goal haul when Benayoun scored to equalise in the final minutes, a very similar feel to it all.. With such an atmosphere these crazy games do happen. Thankfully it is the exception and not the rule. It was ominous the way we sat back with so long still to play and I breathe a sigh of relief in the end.. This was a game which exposed our central midfield and Klopp planned to overload in and around this area. Elneny is a very welcome addition. I think Liverpool will get stronger still under Klopp with returning players as well, and remember Man City have to play at Anfield as well, March 2nd. Night AK, FMJ and HT. Yes a good game for the neutrals. It will feel ok in the morning. Onwards and keepy upwards! I woke up to see my brother watching the match and after 15 mins its 1-0 against us.. after that i thought, ok, we are cooked. To wake up and see rhe final score as 3-all it seems a good draw, but scanning through the excellent match commentary it seems anything but a good draw. There are mamy games that we could have went forward to kill the game, and at a goal up it was always risky. So, let me read through the commentary and watch the highlights and i will comment further. Interesting comments during game and mostly as I saw it. Analysis tomorrow but first the player ratings.